go to link Raspberries are easy to grow, highly productive, very nutritious, and DELICIOUS! There are two groupings of this wonderful cane fruit…spring bearing and ever bearing. The spring bearing varieties are perfect for fresh eating and for food preserving/canning, as the fruit ripens all at once within a short period of time. The ever bearing varieties are wonderful eaten fresh, throughout summer and into fall. http://maientertainmentlaw.com/?search=generic-levitra-from-canada Raspberries are easy to grow, keeping in mind a few basic requirements. The most important need for raspberries is good drainage. If possible, avoid planting them in low, soggy areas. Planting in a raised bed at least 12 inches high will help to prevent root rot and any other root diseases. Be sure to weed the area before planting. Avoid planting canes in beds that have had potatoes, eggplant, or tomatoes growing in order to keep clear of viral problems; waiting 3-4 years is advised. Raspberries need a full sun location for best berry production. 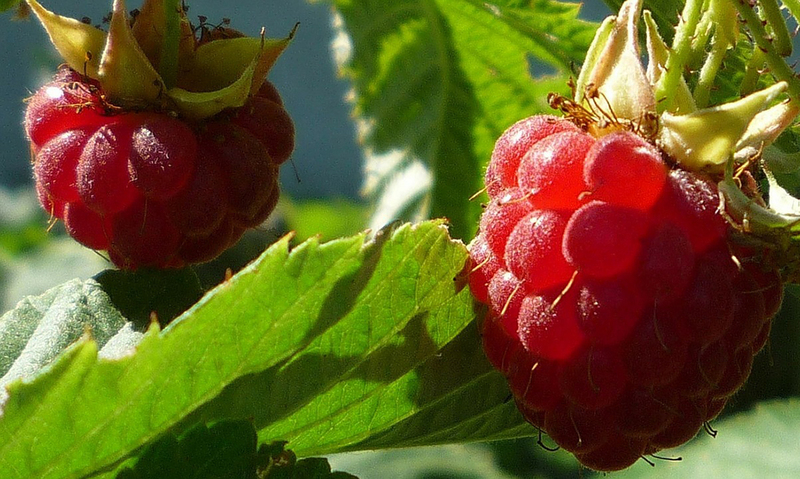 Raspberries like soil rich in organic material such as compost, and composted manures. The ideal pH range for growing raspberries is 5.6-6.5. Upon planting, prune canes to approximately 6 inches from the crown. Plant canes 24-36 inches apart and cover the roots with 2 inches of soil. Be very careful not to bury them too deeply. Down To Earth Acid Mix two times per year; once in March, and again in May. Pruning is an important part of a successful raspberry crop. Be sure to remove all dead and damaged canes while the plants are dormant. Most raspberry varieties will need a trellis system to support the canes and keep them upright. A simple T-post design works very effectively for this. real viagra pharmacy prescription Spring bearing varieties: When fruiting has finished, the fruited canes are cut out at the base and the new seasons canes are tied in, keeping only the strongest, new, young canes. In late winter, tip pruning is advised to clean up any cold-damaged growth. 1. For a sustained summer and fall crop, prune second year canes to the ground after they finish their spring flush. Leave all first year canes through the winter so they can fruit again in the spring, after which you will prune them to the ground.